We would like to thank our patrons for considering Mannequin Pis to host their special events in the past years. We are pleased to offer a wide variety of private dining and events such as corporate holiday party, wedding rehearsal, wedding party, wedding anniversary, family reunion, baby shower, birthday party, or graduation party etc. at Mannequin Pis. 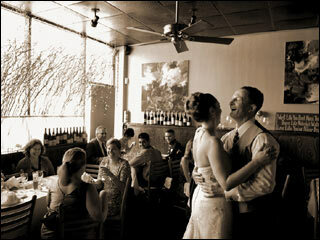 We offer flexible time weekdays or weekends, lunch or dinner to host your event. We can accommodate upto 55 guests. You will have the option to choose your floor layout. For any private dining party of 20 or more guests, we will work with you to create a personalized set menu for your event. Vegetarian options are always available. We will do our best to accommodate all dietary restrictions. 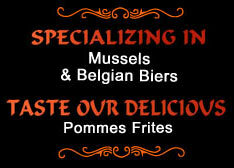 We have extensive beer and wine list to pair with our delicious authentic Belgian dishes. There is no cutting and plating cost for cake that you may bring. We have plenty of free parking available in front and behind the restaurant. Please call at 301-570-4800 to discuss your next event with Mannequin Pis.